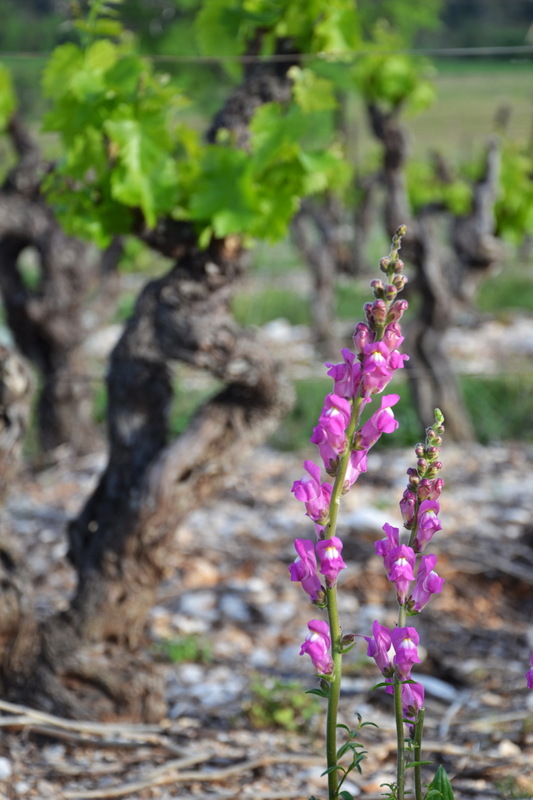 Exploiting the vineyards on these scrublands requires respect for the biodiversity that surrounds it. The protected fauna and flora living in the estate enhance the special character of the wines from the vineyard. On the heights of the vineyard we find limestones from the Eocene, their intense white color gives them a very high albedo: it is the scientific name of the reflective power of the light received by the rock. In the surrounding scrubland, we carefully preserve the protected species. Among them, the Pistoloche Gunner for example, is the host of the protected butterfly Proserpine. It is one of 4 protected butterflies that live on the vineyard. In early April, the Rollier d’Europe arrives: returning from the South of the Sahara, its blue wings brings color to the vineyard.